Anyone else surprised that Christmas is in two Mondays?! I truly love this time of year, because of all the friends and family we get to see! Anyone last minute shopping, haha I know I sure am! I know every year I tell myself that I'm going to get all my Christmas shopping done in November or the first week of December and sadly that rarely happens haha. I really try. So to all my parents and grandparents out there, here's a gift guide that I hope will get your Christmas Shopping done faster! 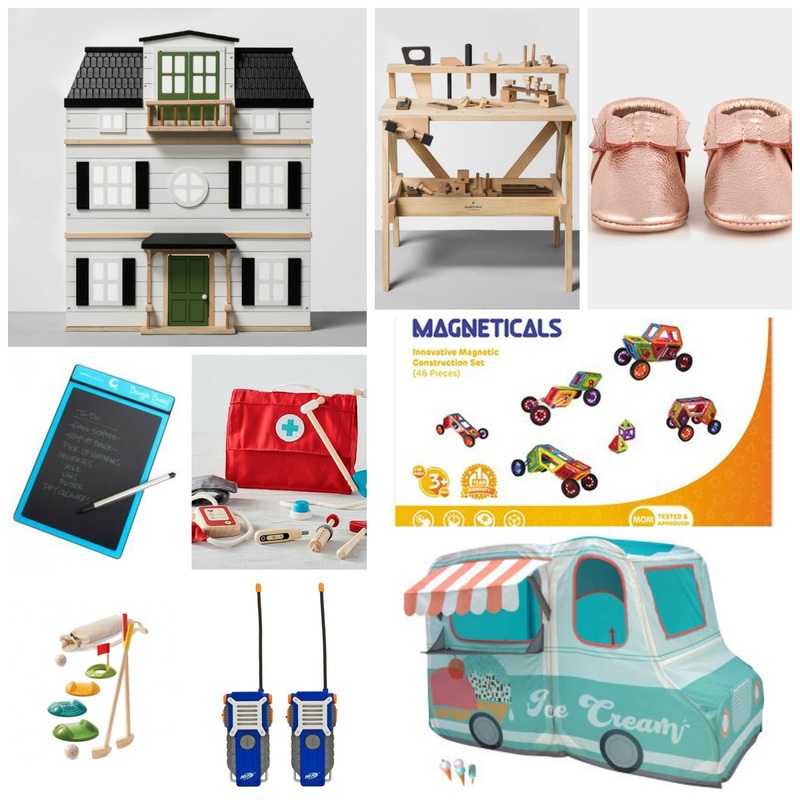 I personally would choose all of the gifts for my kids but I also saw that these are some of the hottest toys right now and will be sure to bring your kids so much joy and excitement! Be sure to comment below if you got this for your little ones! Oh and of course Merry Christmas! This is the second year that I've made my daughter a doll house (this time its bigger for barbies) seriously one of my favorite projects to do! So fun to decorate and design it. Hello Lovely's My name is Valentina welcome to what I call my online journal! I was born in beautiful Northern California and currently live in my new home Utah. People know me as the social gal, because I truly enjoy meeting new people. Since traveling to Utah a few years ago, I've met this loving caring hilarious man who is now my husband and he truly he is my biggest support and my best friend. I am also a mommy to a handsome happy energetic toddler named Mason who shown me a new definition of love and shows me to enjoy the simple things in life. Also due this June with a baby girl, that we can't wait to meet and already know he's going to be such a great brother! Being a mommy is truly the best! On here you will read mostly about motherhood but also topics about family,crafts,food. adventures, home decor, and of course style and beauty! I'm excited to for this amazing journey of mine and I'm hope you all join me! Bringing Spring into our Home - HelloMayPole Giveaway! Half Way There- Baby Girl Update!! Choosing the right toothbrush for you! Toddle Holiday Gift Guide 2018!